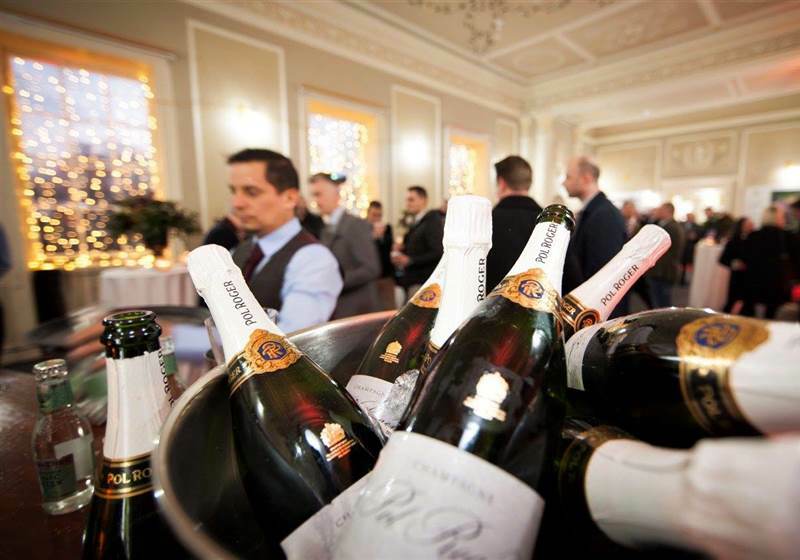 We opened our doors this week to friends and partners, at our first festive event, to pull back the curtain on what will become Yorkshire’s exceptional luxury hotel experience. Guests arrived to find the Georgian-styled Hall lit with festive cheer and a 16-foot Christmas tree glimmering with more than 10,000 lights. A string quartet playing Christmas music set the ambiance while guests mingled and sipped Pol Roger champagne and speciality cocktails created by Dan Purnell at Escapade Bars. General Manager Andrew McPherson presented an overview of the project, not only showcasing the history of Grantley Hall dating back to the mid-1700s but also detailing the plans for the future of the hotel, spa, restaurants and wedding venue. From the palatial to the quirky, our 47 bedrooms will be impeccably designed and furnished with the latest amenities today’s savvy travellers expect. Guests will find diverse food offerings, from the all-day brasserie in the grand style of the Delaunay and the Wolseley to the healthy spa dining option to the fine dining restaurant pushing boundaries and serving as a destination in its own right. For those who love a tipple, there will be three bars and a private members club to indulge in unique cocktails, the classic favourites and a fascinating wine list. The spa and wellbeing facilities will be second-to-none, with seven treatment rooms, an 18-metre pool, outdoor hydrotherapy pool, sauna, steam room and snow room. There will also be four specialised gym areas, including an elite performance centre with state-of-the-art facilities like hyperbaric treatments, underwater treadmill and cryotherapy chamber. The stunning wedding venue will hold up to 200 guests and sits on the edge of the 1910 Japanese Garden that is being restored to its full glory. And to invest the future stars of the hospitality industry, we will provide accredited, bespoke training for chefs, waiters, therapists and receptionists located in our on-site training academy. And we’ll provide the best in on-site staff accommodation with 44 en-suite bedrooms, gym, cinema room and kitchen facilities. Our partners and key stakeholders are helping us build the foundations for something magical, something world-class, and we were thrilled to give them this sneak peek at what the final estate will look like. Unashamedly luxurious, chic and glamorous – this is Grantley Hall. We look forward to welcoming you in spring 2019.